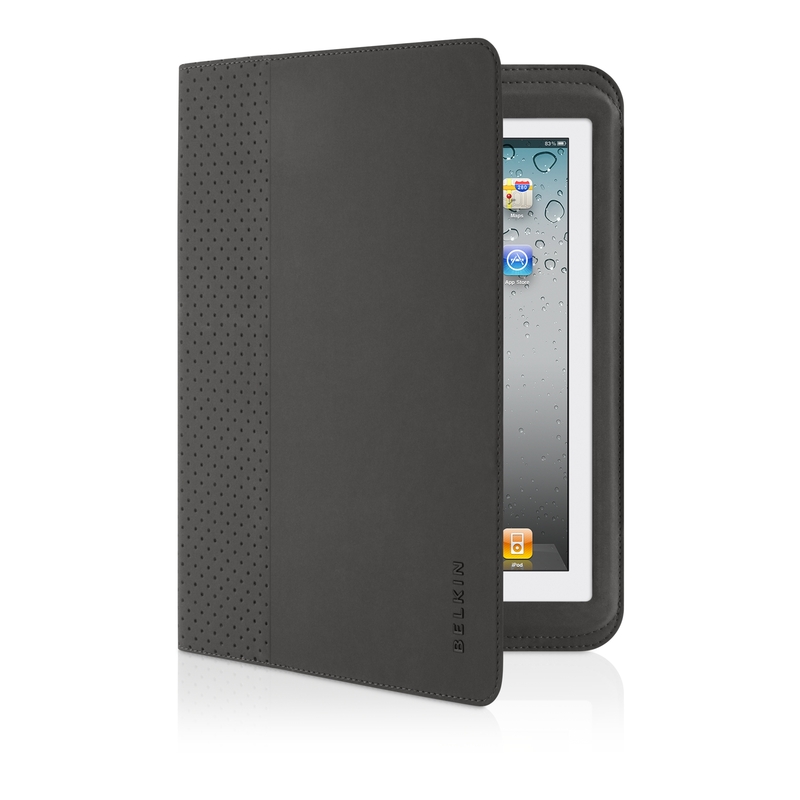 Here is another brand new keyboard case for your iPad 2 called Keyboard Folio and is offered by the company Belkin. 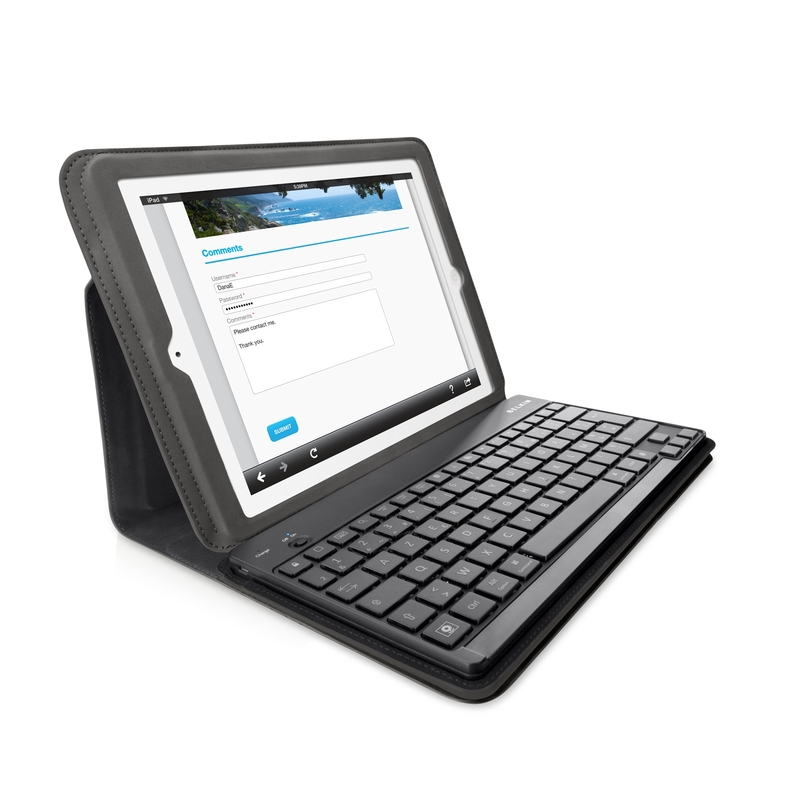 This all-in-one solution packs a Bluetooth keyboard which features larger “TruType” hard plastic keys with a 1.7 mm key travel distance for more comfortable and computer-style typing experience. 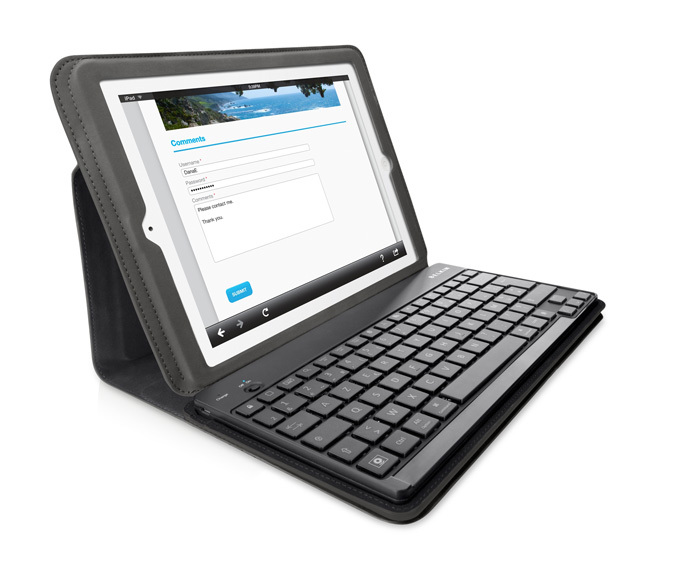 The Keyboard Folio features a slim,lightweight, tri-fold design that allows the the iPad to be placed in various positions and also protect the its screen when not in use. 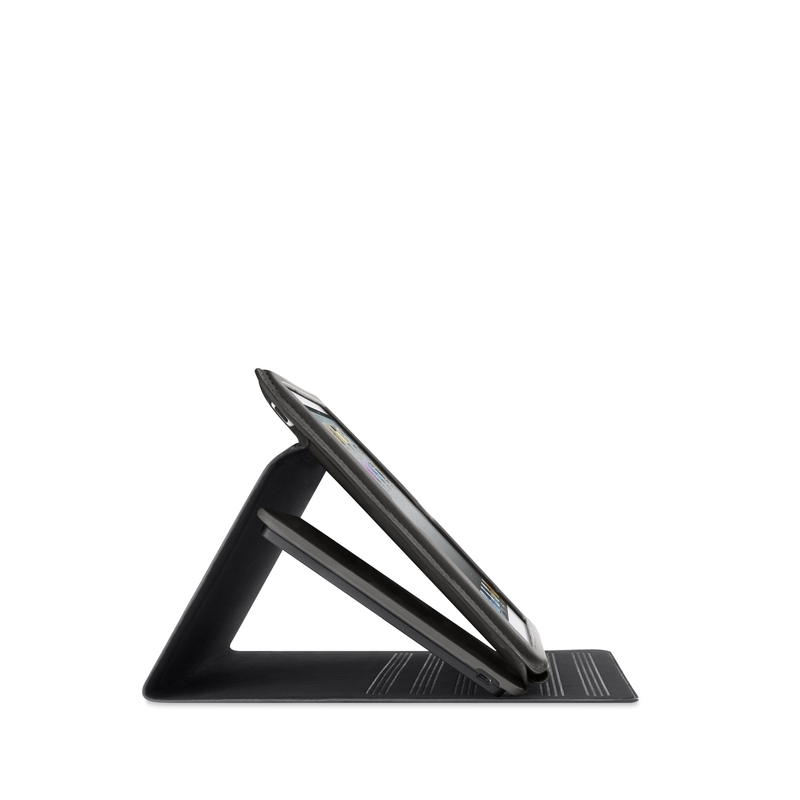 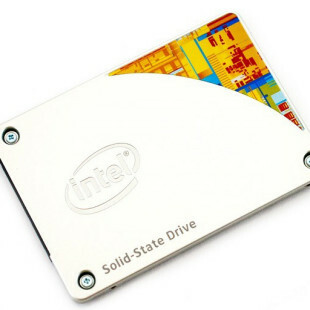 The case also has rigid backplate for stand stability and the keyboard battery offers 60-hours of non-stop typing. 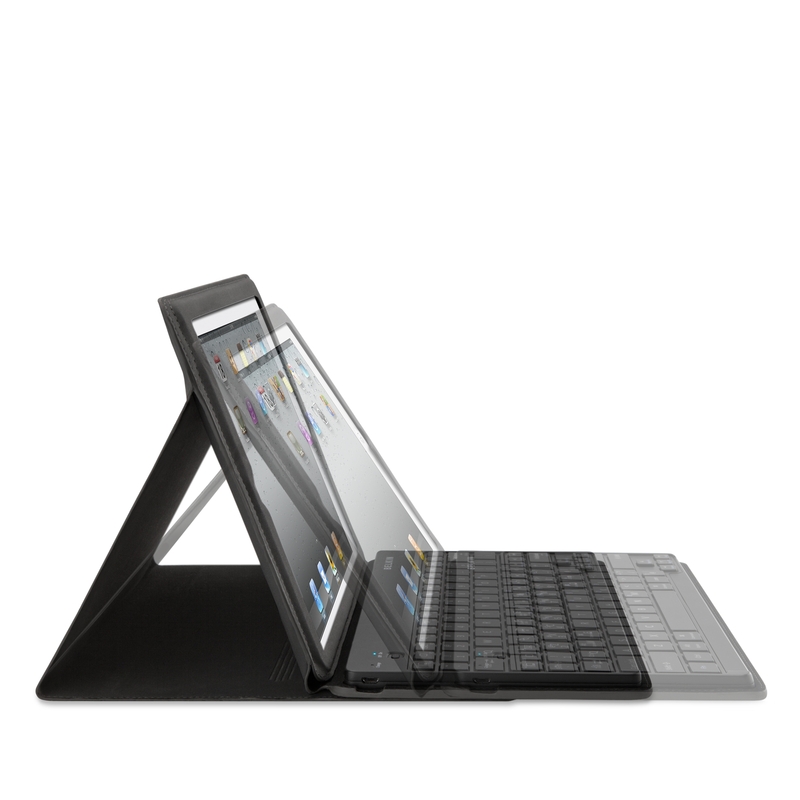 Belkin Keyboard Folio for iPad 2 (F5L090) is now available for $99.99.